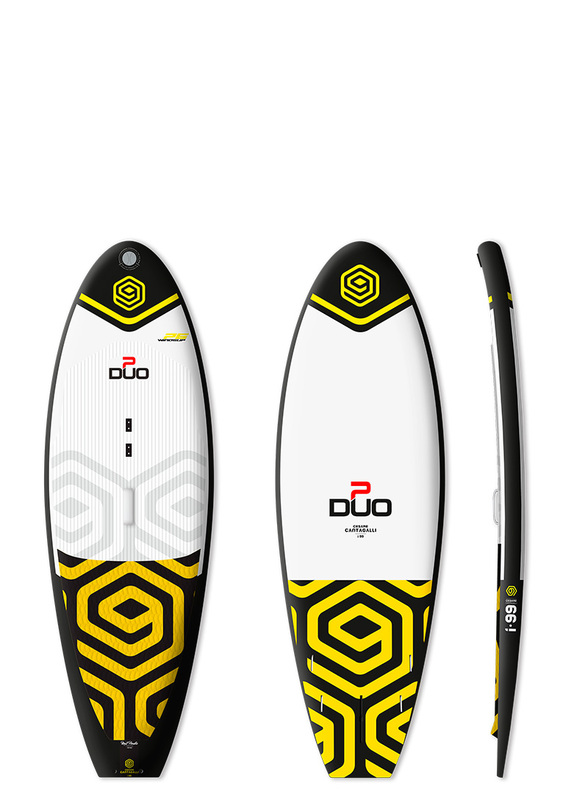 DUO WIND-SUP is the revolution of and constitutes a new era in SUP & windsurfing. 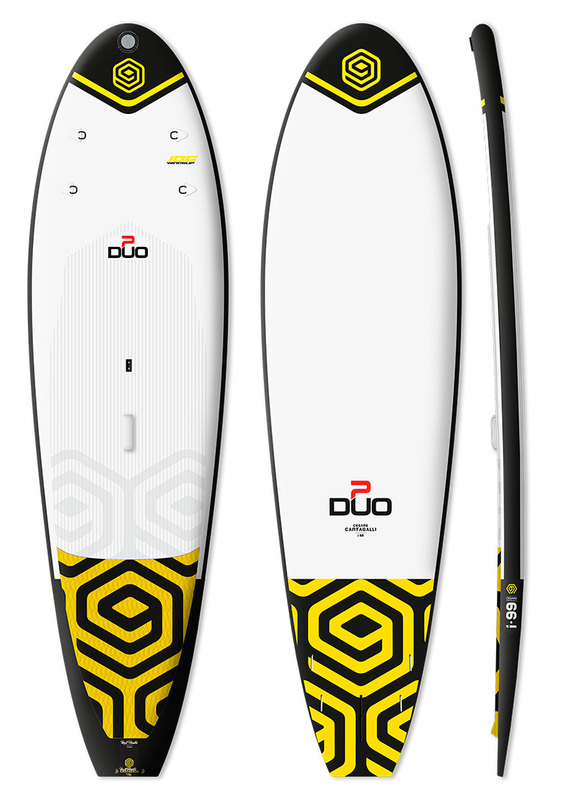 All the fiberglass hard tails are 3’6” long with Future fin boxes and a US central box, which are uniformly integrated in the fiberglass section. 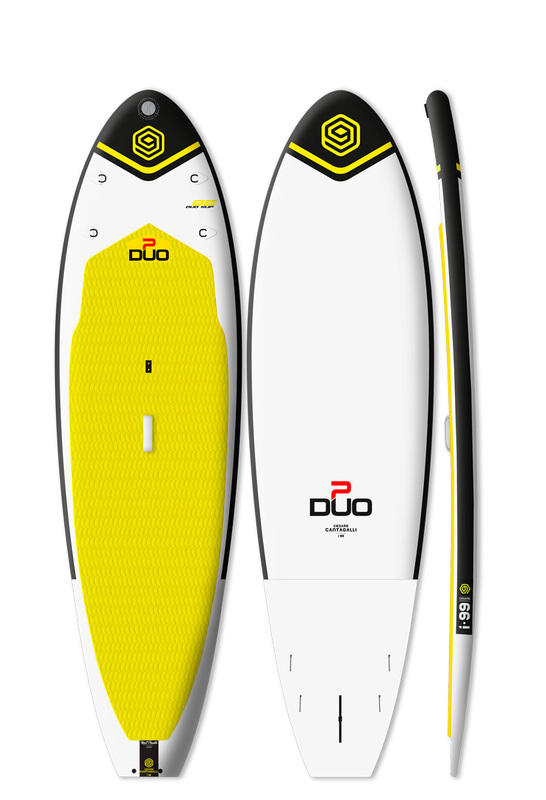 All the DUO WIND-SUP models can be stowed away inside a trolley bag and carried as a backpack or pulled on its wheels. 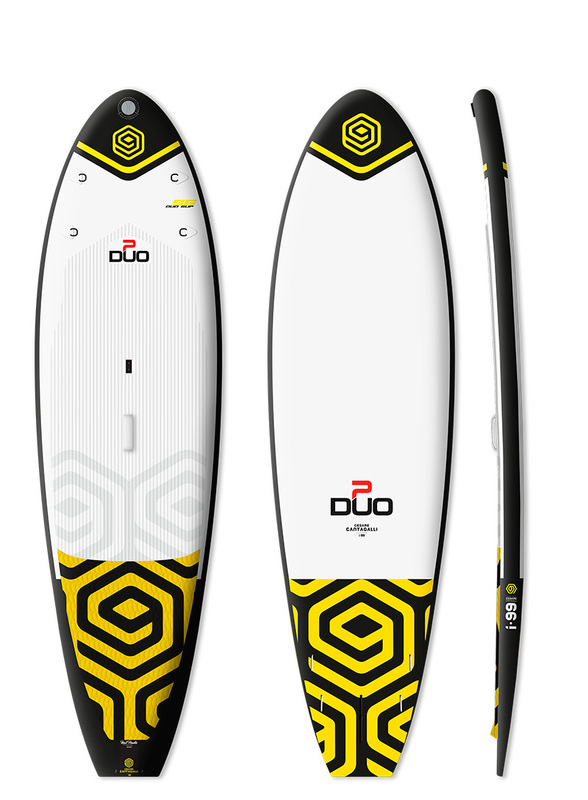 - Composite board performance with inflatable transportability. 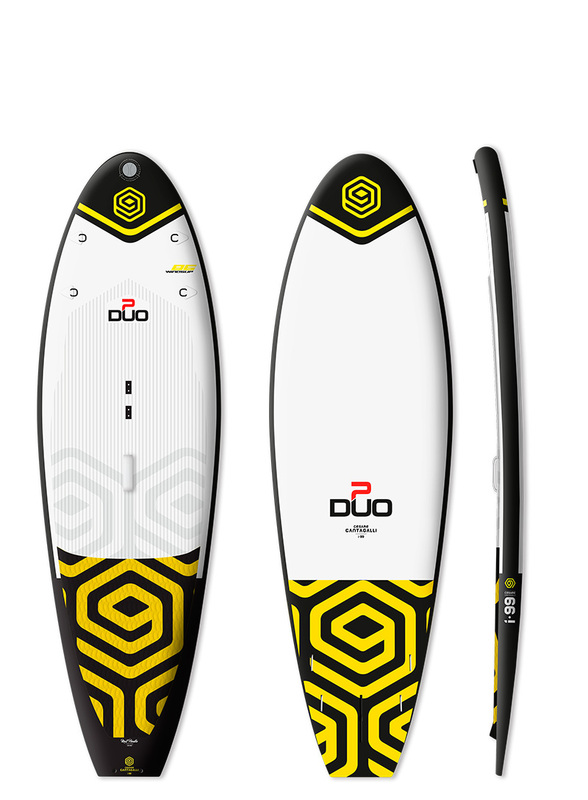 - Hardboard riding feel in wave turns, relaxed paddling and top speed. 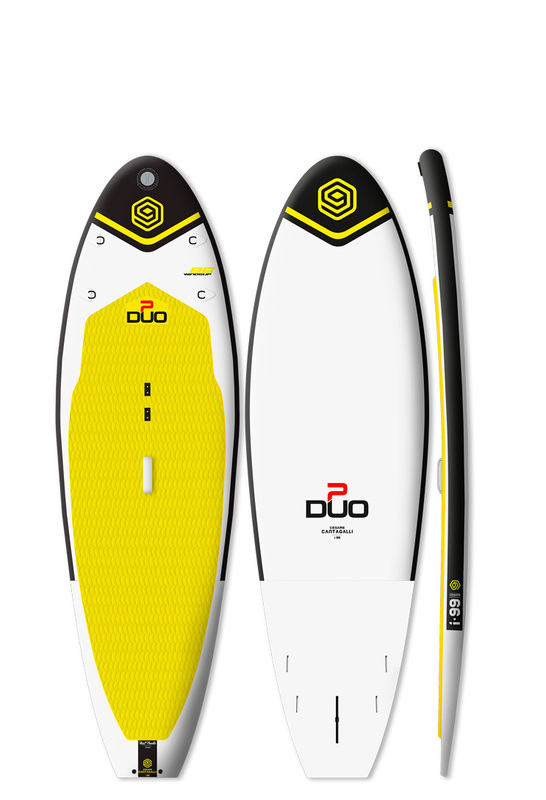 - 4 Future Box + 1 center US BOX uniformly integrated in the fiberglass section (board comes with 4 PVC future fins only). - OPTIONAL fin-box for FOIL (made to order on demand). - Inflation within less than 2 minutes. 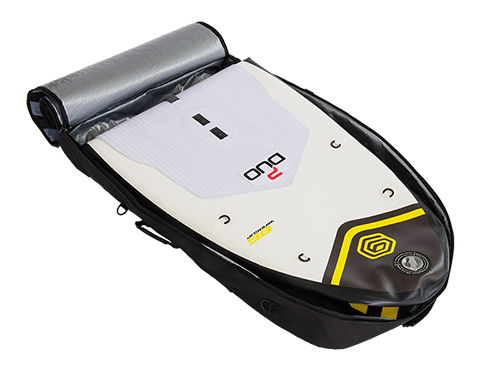 - Deflating and bag storage in less than 30 seconds. - Easy transport and storage efficiency. - M8 iron screws with specific mast PAD adapter for winsurf mast-foot. 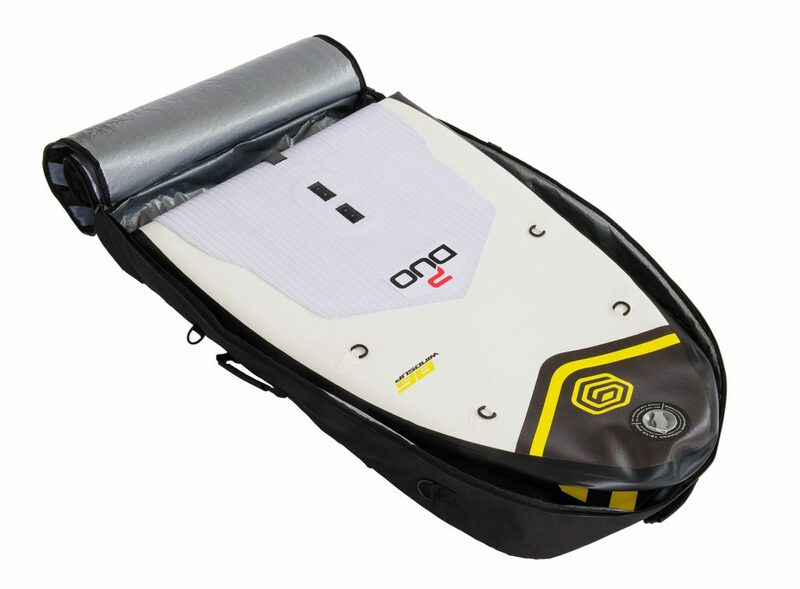 - Reduced pack size, fitted with a wheeled trolley bag. - Airplane flight allowance check-in size. 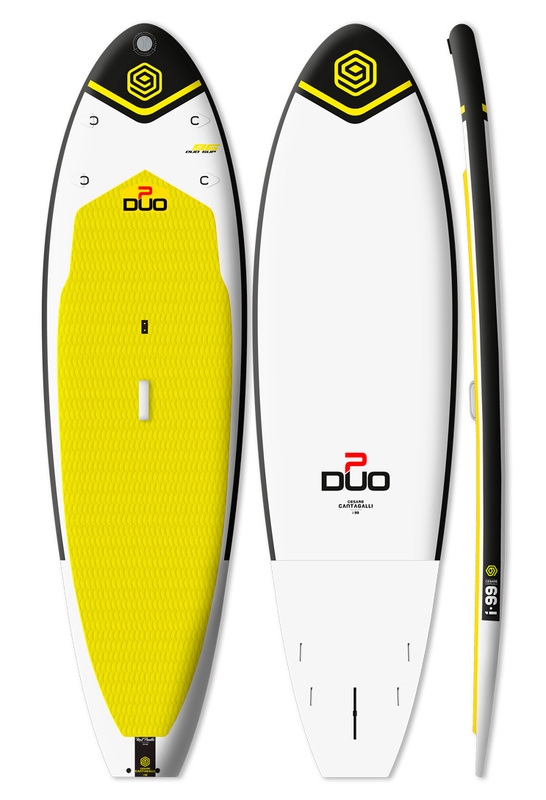 The DUO WIND hard tails are fiberglass pressure molded, using high-density PVC sandwich composite, and laminated where necessary with carbon and bamboo. 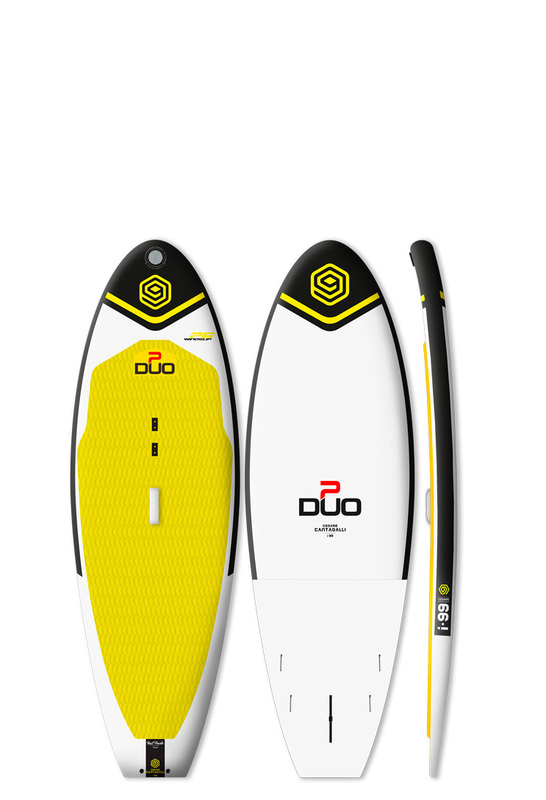 All the DUO WINDSUP models can be stowed away and transported inside a board bag, which can be carried as a backpack or pulled on its wheels: the size of the bag is 130 x 80 x 15 cm.